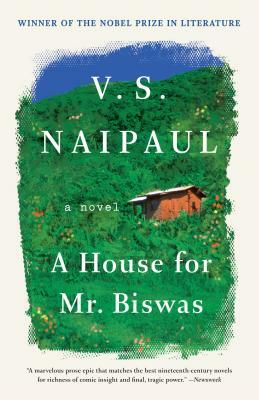 "The Nobel Prize winner's first great novel" (Barack Obama), A House for Mr. Biswas is an unforgettable story inspired by Naipaul's father that has been hailed as one of the twentieth century's finest novels. In his forty-six short years, Mr. Mohun Biswas has been fighting against destiny to achieve some semblance of independence, only to face a lifetime of calamity. Shuttled from one residence to another after the drowning death of his father, for which he is inadvertently responsible, Mr. Biswas yearns for a place he can call home. But when he marries into the domineering Tulsi family on whom he indignantly becomes dependent, Mr. Biswas embarks on an arduous– and endless–struggle to weaken their hold over him and purchase a house of his own. A heartrending, dark comedy of manners, A House for Mr. Biswas masterfully evokes a man’s quest for autonomy against an emblematic post-colonial canvas. V.S. Naipaul was born in Trinidad in 1932. He came to England on a scholarship in 1950. He spent four years at University College, Oxford, and began to write, in London, in 1954. He pursued no other profession. His novels include A House for Mr Biswas, The Mimic Men, Guerrillas, A Bend in the River, and The Enigma of Arrival. In 1971 he was awarded the Booker Prize for In a Free State. His works of nonfiction, equally acclaimed, include Among the Believers, Beyond Belief, The Masque of Africa, and a trio of books about India: An Area of Darkness, India: A Wounded Civilization and India: A Million Mutinies Now. In 1990, V.S. Naipaul received a knighthood for services to literature; in 1993, he was the first recipient of the David Cohen British Literature Prize. He received the Nobel Prize in Literature in 2001. He lived with his wife Nadira and cat Augustus in Wiltshire, and died in 2018.